* Convert ordinary files into compressed binary data. * Keep files away from virus. * Huge amount of binary database storage. 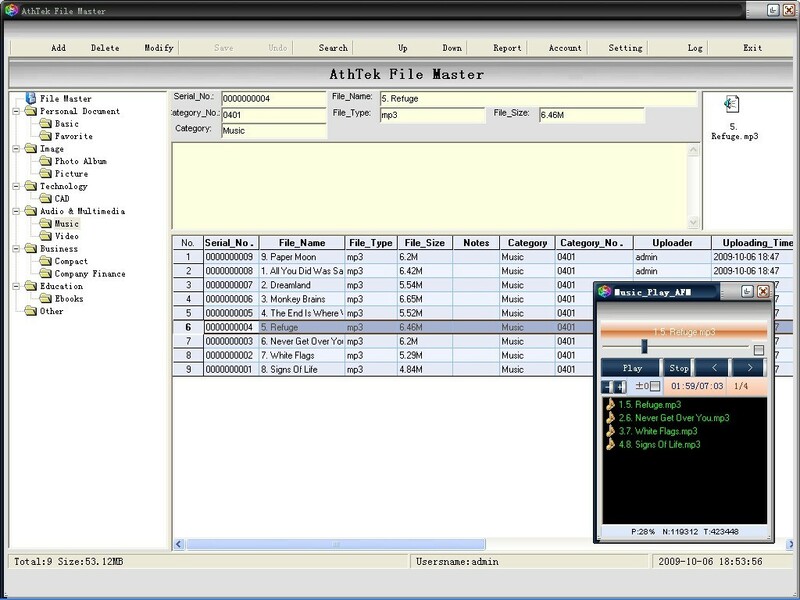 * Tree menu of categories for various files management. * Support almost all kinds of file formats. * Single or multiple files add, delete and modify. * Customized account for different needs. * Duplicate files can be saved at different category as user’s needs. * Allow to use kinds of expressions within the Search system.